How to Start an Iowa Wrongful Death Lawsuit | Hupy and Abraham, S.C. Someone else’s negligence caused your loved one to die. Whether that accident occurred on an Iowa road, in an Iowa business, or elsewhere, you may have the right to recover damages. However, in order to get those damages you are going to have to take action. Determining whether you have standing to file a claim. Generally, it is the administrator of the decedent’s estate who has the right to file a wrongful death lawsuit in Iowa. Determining whether you have a cause of action. You may have a wrongful death claim if you can prove that the other party owed your loved one a duty of care; the other party breached that duty of care by failing to act like a reasonable person; your loved one would not have died but for the actions (or inactions) of the other party; and you have a legal claim to damages. Protecting the evidence. You want to make sure that none of the evidence in your case is missing or destroyed. Filing a complaint in court before the statute of limitations expires. In most cases, you have two years from the date your loved one died to file a claim. Making sure the complaint meets all of the court’s requirements. Iowa state courts set forth specific requirements about what must be contained in a complaint. Your case does not begin until the complaint is filed in court. Insurance negotiations may occur prior to a complaint being filed, but they are not the formal beginning of an Iowa wrongful death case. 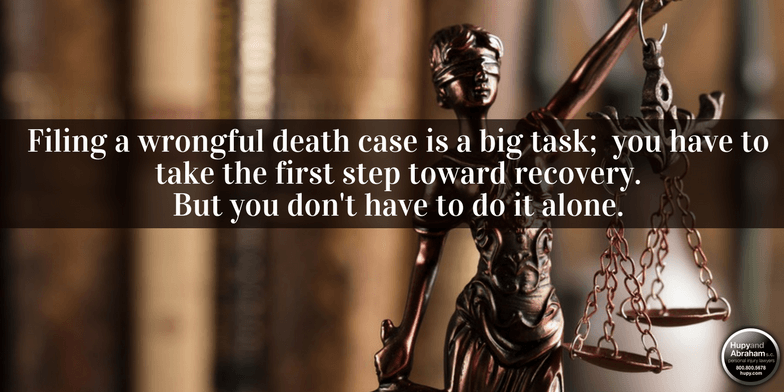 Make no mistake about it: filing a wrongful death case is a big task, and you have to take the first step toward recovery. You don’t even have to file the complaint by yourself. Instead, you have the right to work with an experienced lawyer who can help your grieving family recover. To learn more about how a wrongful death case works in Iowa, please start a live chat with us today to schedule a free, no-obligation consultation. ?Who can file a wrongful death lawsuit in Iowa? ?Can I sue for the death of my unborn child after an Iowa accident results in their death? ?Can I recover for emotional suffering after the wrongful death of a loved one in Iowa?